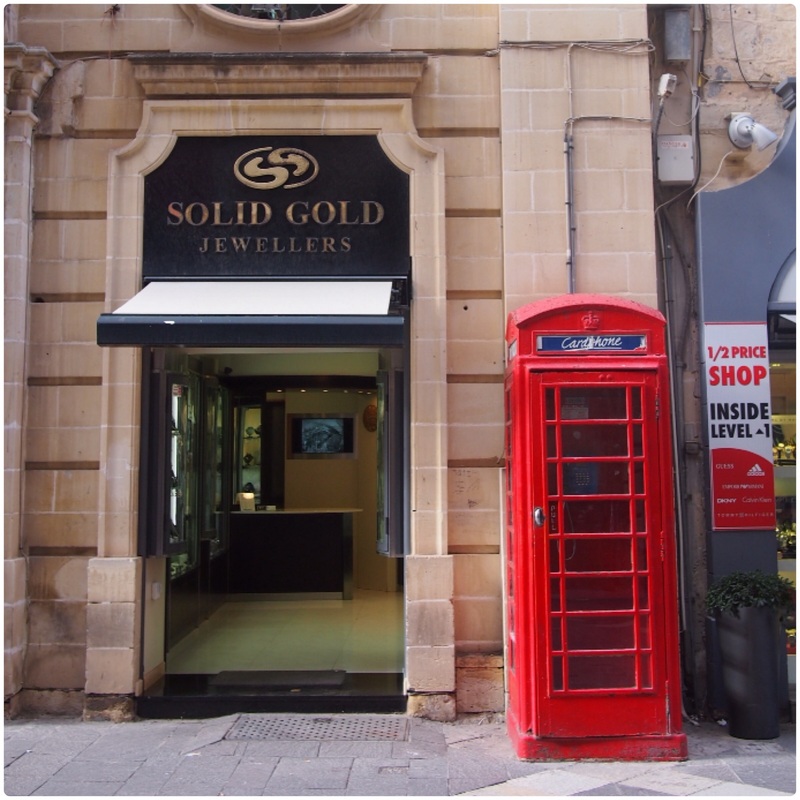 As soon as we arrived in Malta we noticed that the buildings here share some features which make them quite distinctive. 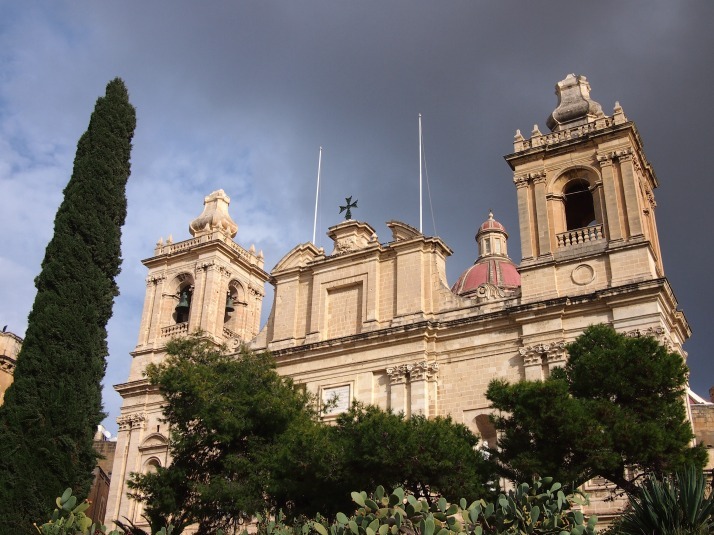 There aren’t any forests on Malta and wood is in short supply so there isn’t any traditional wooden architecture such as we’ve seen in Latvia, Russia and Japan. Fortunately for the Maltese much of the island is composed of a soft limestone which is easy to quarry and is used to build everything from dry stone walls and houses to churches and fortifications. Its soft honey colour is very easy on the eye and gives a uniform, cohesive look to any town viewed from a distance. 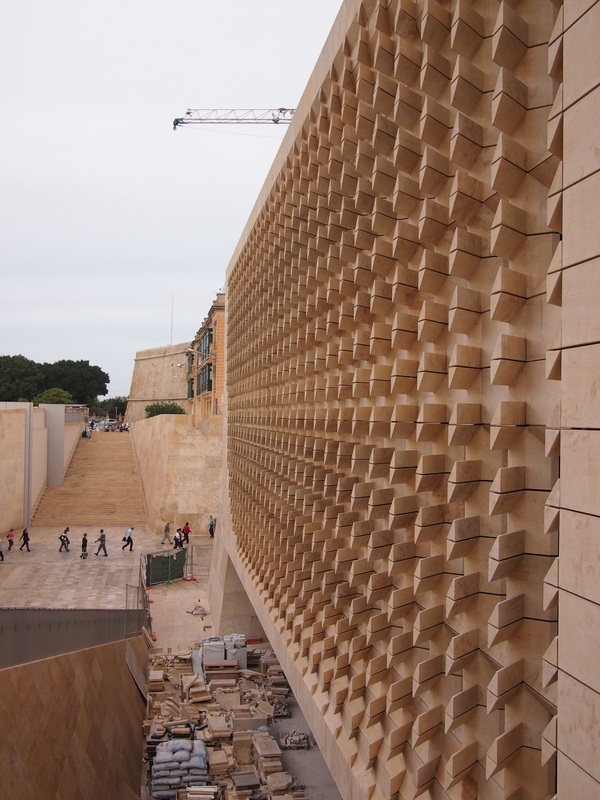 There isn’t much in the way of modern architecture here (outside the resort areas anyway), and certainly no skyscrapers, but at the entrance to Valletta a new Parliament building is nearing completion. 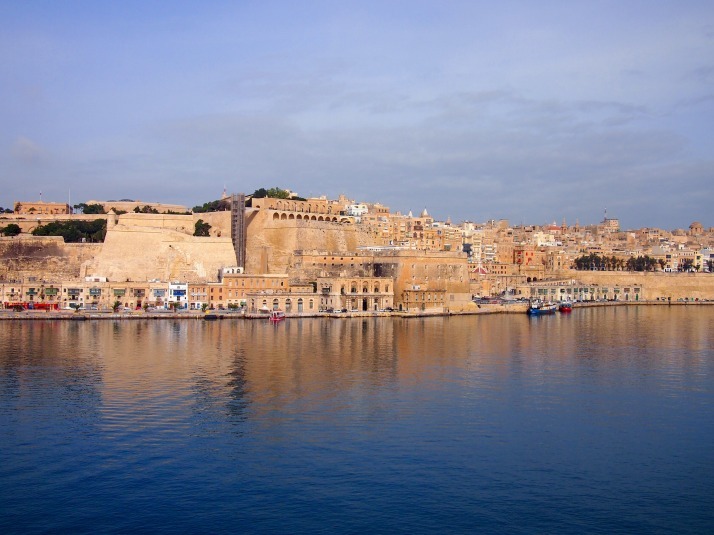 Designed by the high profile architect Renzo Piano (one of his other recent projects is The Shard in London) it has caused controversy and apparently UNESCO are considering whether Valletta’s World Heritage status should be revoked because of it. I hope it doesn’t come to that, it is definitely modern but use of the traditional limestone means that it blends in nicely. We like it. We also like that it’s been nicknamed the ‘Cheese Grater’. 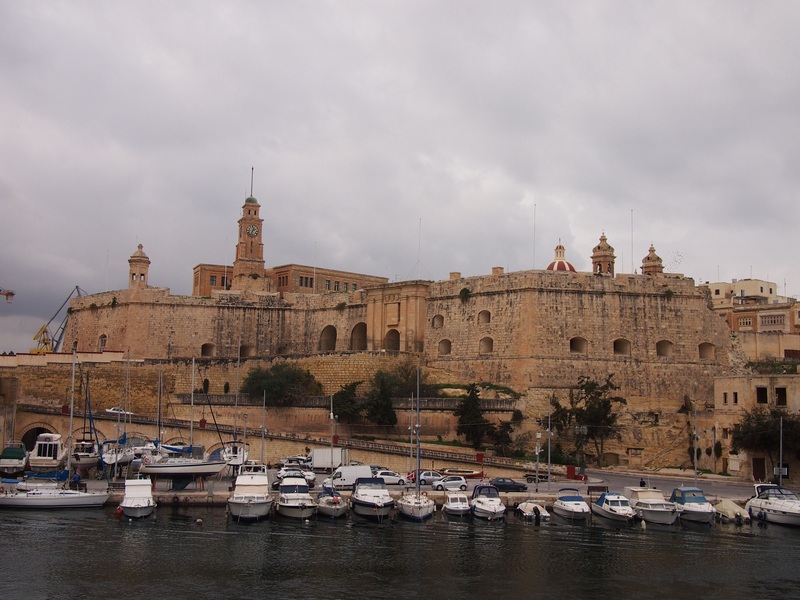 It’s not only the buildings here that are built from the local limestone but also the island’s many fortifications – city walls, coastal watchtowers and forts. In the rather clunkily named but nevertheless fascinating Fortifications Interpretation Centre we learnt that military engineers would dig out the limestone to create a defensive ditch surrounding the city and use the blocks to build up the walls. One of the most obvious features of Maltese houses are the balconies. They’re usually wooden, closed in and painted in bright colours. 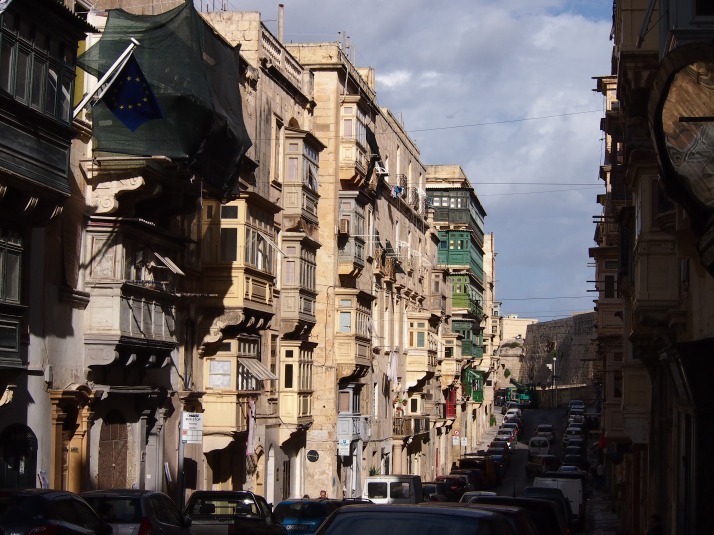 Although it’s not clear exactly what their origins are, it’s thought that they were influenced by the Arabic muxarabija balconies, possibly arriving via Spain. They gained popularity in the 18th century and were sometimes added to the house later. Because of the high price of timber they became something of a status symbol amongst the country’s elite, however when the British took over in the 19th century timber became more affordable making balconies available to those of lower means. The Maltese do an interesting line in what we might call door furniture. 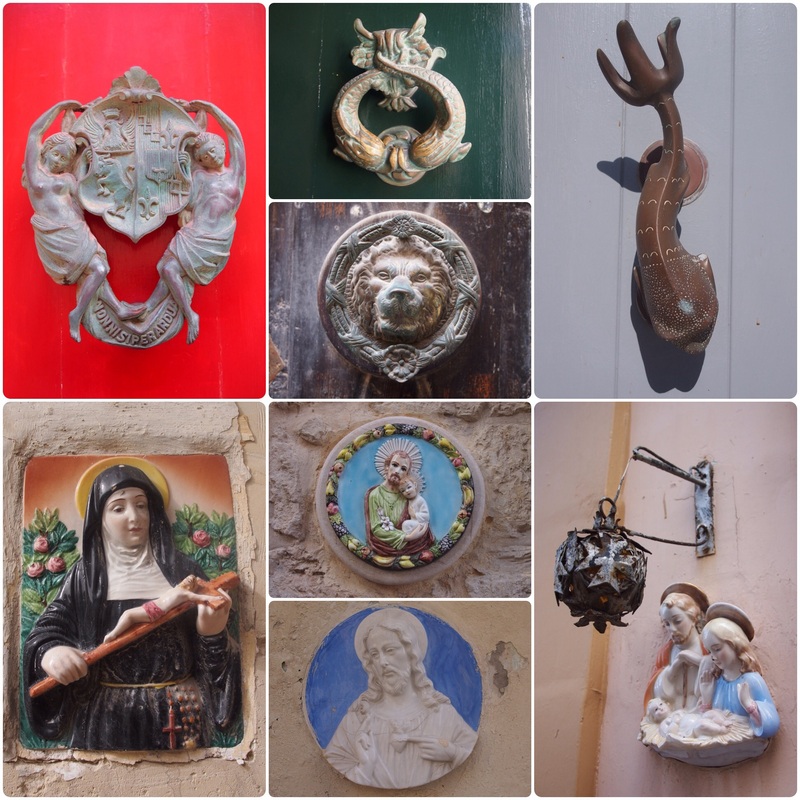 There are extravagant door knockers, plaques of saints next to front doors and, as every house has its own name, a wide variety of name plaques in different designs and styles. It’s been fun to spot different ones as we walk the streets. 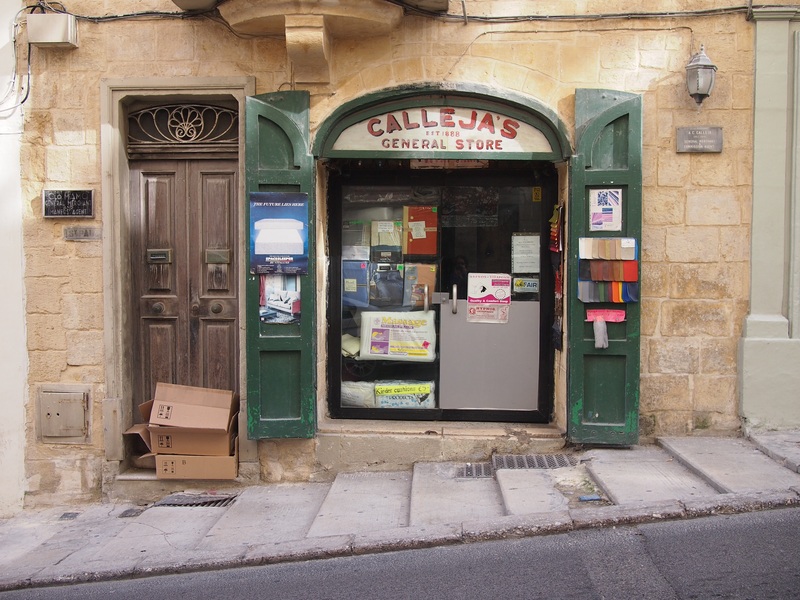 Of course there are shopping malls with the usual chain stores, but many of the shopfronts in Malta’s towns seem to hark back to an earlier time with small windows and hand-painted signs making them look a bit retro. They also have old fashioned opening times with pretty much all small businesses closing for lunch at 12pm and (perhaps) reopening at 4pm for 2-3 hours. Maybe this makes more sense in August when the midday temperature averages 32°C but in late autumn there doesn’t appear to be a clear explanation and at first it was confusing to us. 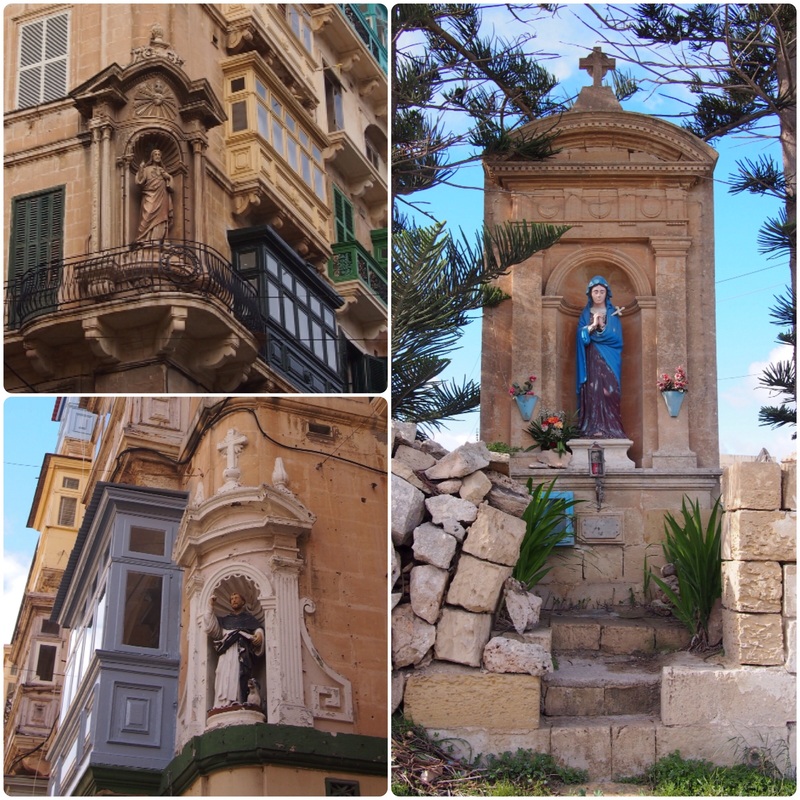 Malta is predominantly Catholic (over 90%) and, as well as the saint plaques beside front doors, there are frequent roadside shrines and street corner niches containing saints, plus lots of churches. The larger churches often follow a similar design with two bell towers flanking the entrance and a dome over the nave. Malta was a British colony for 164 years until it gained its independence in 1964. There are a few telltale signs that make us feel a bit nostalgic and homesick, most obviously the red postboxes and phone booths. This entry was posted in Places and tagged Architecture, Malta on December 13, 2014 by Julie. What is 8 + 31 ?